The importance of hydration cannot be stressed enough. With the summer months fast approaching, you should be guzzling more water so that your body can function without any hiccups. In the month of March, the mercury levels start rising as spring begins, eventually setting the stage for summer. Around this time is the Spring Equinox when the sun crosses the equator and the duration of day and night is nearly the same. During this time, people are commonly advised to drink more water for the next seven days. Ever wondered if there’s any truth to it? Here’s what you need to know about drinking more water during the Spring Equinox. When the sun passes the celestial equator from the south to the north, there’s a marked increase in the temperature. On the day of the equinox, the tilt of the earth’s axis is perpendicular to the rays of the sun. This means, the days following the equinox will be warmer than before. For a few days around the time of the Spring Equinox, the sun will be directly overhead. When the temperature rises, the human body tries to maintain homeostasis by sweating more to regulate the core temperature. More water is through sweating, breathing, digestion, etc. during these days. World Water Day 2019: Where Did Water Come From? 11 Unusual Facts About This Life-Giving Substance. On regular days, it’s advisable to drink at least eight to ten glasses of water a day. But in the days following the Spring Equinox, you should increase water intake considerably. Spring Equinox 2019: Beautiful Pictures of Flowers Blooming From Around The World. 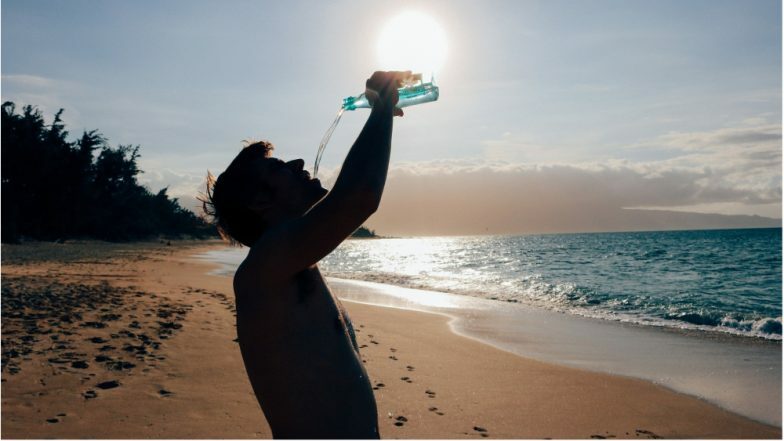 To beat the heat during Spring Equinox, your best bet is to drink more water. Set a reminder on your phone or download an app that will remind you to drink water at regular intervals. Eat fruits and vegetables that have a higher water content like tomatoes, cucumbers, watermelons, gourd veggies, lettuce, spinach, cantaloupe, celery, pineapples, green peppers, oranges, raspberries, strawberries, etc. The coming days may be warmer than usual. So try as much as you can to stay indoors. Wear comfortable cotton clothes that let your body breathe. Unless there’s an emergency, avoid stepping out of your house or office when the sun rays are the strongest. You can take a break from gymming and intense workouts in the coming days. Exerting yourself too much can cause the loss of water and electrolytes from the body. So avoid laborious activities that require you to break into a sweat. If you have exerted yourself, replenish your water reserves by hydrating yourself and replacing your electrolytes.